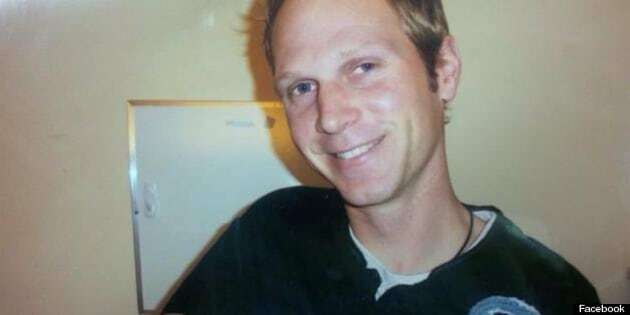 HAMILTON - Tim Bosma was a jokester, a mischievous man with a "crazy laugh," but most of all he was just a regular guy — and it cost him his life, family and friends say. There was standing room only in a banquet hall in Hamilton, where hundreds of people gathered to remember the 32-year-old father who was killed after taking two men on a test drive. Right as the memorial concluded, police announced they had made a second arrest in the case and would provide an update in the afternoon. A 27-year-old Toronto man, Dellen Millard, is already charged with first-degree murder, forcible confinement and theft of a vehicle. Bosma's remains were found, burned beyond recognition, on a farm belonging to Millard. Police have not disclosed an alleged motive, but family and friends at the memorial service focused on the senselessness of the doting father's death. "I know that there have been skeptics out there who seem unable to believe that Tim was not somehow involved in something," his wife Sharlene Bosma said. "This sort of thing doesn't happen in Canada and it doesn't happen to people like us." Her husband, the father who took their two-year-old daughter to her swimming lessons and changed her first diapers with trembling hands, was a normal guy, she said. "(He was) a regular average guy who loved his family and his friends, who worked hard," Sharlene Bosma said. "It is difficult to accept that this regular average guy did a regular average thing, which so many do on a daily basis, and it tragically cost him his life." It is difficult to accept, she said, because then it means it could have happened to anyone. "But for me, it didn't happen to just anyone," she said, fighting back tears. "It happened to my husband and the father of our child. Tim is my someone. He is my person, my other half." Bosma's friend Gary Kikkert, his sister Michelle DenBak, his stepfather Stephen Zylstra, his father-in-law Louis Veenstra and his father Hank Bosma shared memories at the service held at the banquet hall where Bosma and his wife had their wedding reception three years ago. Kikkert remembered how the pair would tease each other, but also how Bosma's "tough love" forced him to get help for a problem with alcohol. DenBak and Hank Bosma remembered how he would pester his sisters, then "laugh that crazy laugh of his." He equally loved playing with his young nieces and nephews at family gatherings and teasing them too, DenBak said. "He would get the kids so riled up and then with a little smirk start complaining to us that our kids are too loud," DenBak said. Zylstra remembered the "mischievous" man who had a "smile that would light up his whole face." Veenstra remembered his son-in-law as a loving father to his young daughter. "I felt proud of the man down on his hands and knees playing peekaboo, the man with his make-believe giggle when his daughter tickled him under the chin," Veenstra said. Pastor John Veenstra said the memorial service was a celebration of Bosma's life, but not an attempt to canonize him — rather, he should be remembered as a regular guy who loved his family. Still, he talked about how people are struggling to make sense of Bosma's death, saying, "it's only a truck." "It never makes sense," he told mourners who packed into the hall. "Was Tim's life worth the cost of a Hemi?" Belma Vardy, who doesn't know the Bosma family but says she feels connected to them through their shared faith, was among those at the service. After following the week-long search for Bosma, learning of his death left Vardy feeling "devastated" and "grieved," she said. That so many others felt the need to honour Bosma shows how much his story has touched the community. "I think it hits people's hearts because everyone walks through pain. I also think we're here just to support the family," she said before walking into the banquet hall.